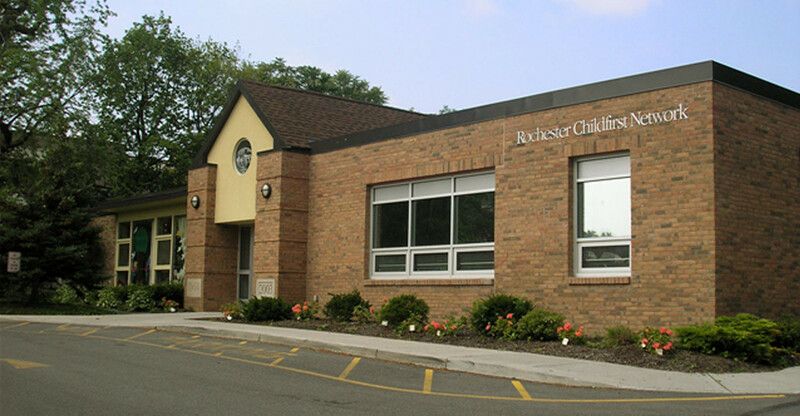 RCN’s South Wedge location is situated on just over 4 acres of scenic land in the South Wedge neighborhood of the City of Rochester. The South Wedge is a quiet city neighborhood with access to a library, a community playground, Highland Park, the Lily Pond and the Highland Conservatory. Our secure 24,000 sq. ft. facility boasts newly renovated outdoor play areas, a courtyard sensory garden, and 10 classrooms. RCN values the safety of each and every child in our care. Access to the building is restricted with a controlled entry point and video surveillance of our grounds. Our classrooms are spacious and have numerous windows to let in natural light as well as interior windows so that the classrooms can be observed from the hallways by parents, staff and visitors. Each classroom has access to bathrooms with age appropriate fixtures including size and height. All classes have a primary and secondary exit in case of emergency. Our facility has a full-service kitchen that prepares meals and snacks daily.